New Windows Phone APIs Finally Allow Barcode Readers! With the initial release of Windows Phone, did you ever get the feeling that a few things weren’t quite right? For instance, did you feel as though tethering might come in useful, or miss an app for Skype? Was there a hole in the OS left by your inability to find a competent barcode reader, or did you feel as though you might have lost your way? If any of this seems familiar, then you probably noticed a few of the flaws of the original Windows Phone release, which has been likened by some to a feature phone rather than a fully fledged smartphone. In my opinion this judgement is harsh — while there were a few problems, the initial launch platform was far more developed than any feature phone. However, features were missing, something that Microsoft has acted to resolve with Windows Phone Mango, with the introduction of some new APIs. APIs are application programming interfaces, and are basically a set of specifications that are made accessible to third-party developers for development purposes. When Windows Phone was first released, a limited set of APIs was included – this is why apps such as the ShopSavvy barcode reader were pretty clunky, as they couldn’t access the camera directly. Instead, you had to take a photo of the barcode and then load this into the app. With Windows Phone Mango you can read the barcode by accessing the camera from within the app, something that is made possible by the presence of the new APIs. Several key areas of Windows Phone have had APIs added, but this revision goes much further; over 1,500 APIs have been added to the platform in total, allowing for considerable functionality to be integrated at a later date, either via third-party apps or by Microsoft themselves. Probably the most popular use for a mobile phone camera besides capturing memorable moments is to scan barcodes. This might be to open a web link from a web page or advertising hoarding on your phone, or to compare prices for an item that you come across in a bricks and mortar store to help you get the right deal. As we’ve seen, the original release of Windows Phone doesn’t have great barcode reading tools – rather than launching the camera and capturing a barcode live, the platform restricts apps to launching the camera. Once this is done, the user must then snap a photo of the barcode which is then loaded into the app. This might not sound like much of a difference, but it is pretty clunky. Fortunately the revision in the Windows Phone Mango upgrade circumvents this problem. Standard barcodes found on food, books, DVDs and other consumer products. QR Codes, the blocks of black squares often seen on web pages. Microsoft Tags, the blocks of colored triangles often found on Microsoft web pages. These can be read and accessed in different ways, natively and with third-party apps. How Do I Use Barcodes on Windows Phone Mango? To read the traditional vertical barcodes found on pretty much any product that you can buy in stores, you will need a third-party app. ShopSavvy is a good option (there are others, as you will see below) as this will scan and identify the item before quickly checking for price comparisons online. Meanwhile, QR Codes and Microsoft Tags can both be accessed via Bing Vision. This is a new feature in the Windows Phone Bing tool, and is accessed by tapping the Search button on your phone and then the Vision button on the Bing page. Bing Vision will identify QR Codes and Microsoft Tags – all you need to do is hold your phone up so that the camera can capture the barcode. You don’t even need to tap anything, just wait for the code to be captured and added to a list where you will be able to tap it to view the contents of the page it links to! Thanks to Microsoft’s attention to missing elements of Windows Phone 7, the Mango update (which upgrades the platform to 7.5) is now hosting a variety of great tools. One of these is the Bing Vision enhancement, which allows you to open QR Codes and Microsoft Tags in your browser. This is made possible thanks to the addition of a new API (short for application programming interface) and allows the Windows Phone camera to be accessed from within an app. As a result various third-party barcode reading apps have been released or updated. ShopSavvy is a good example of an app that has been updated, although you might also try out Pic2Shop or PSA Barcode Reader. 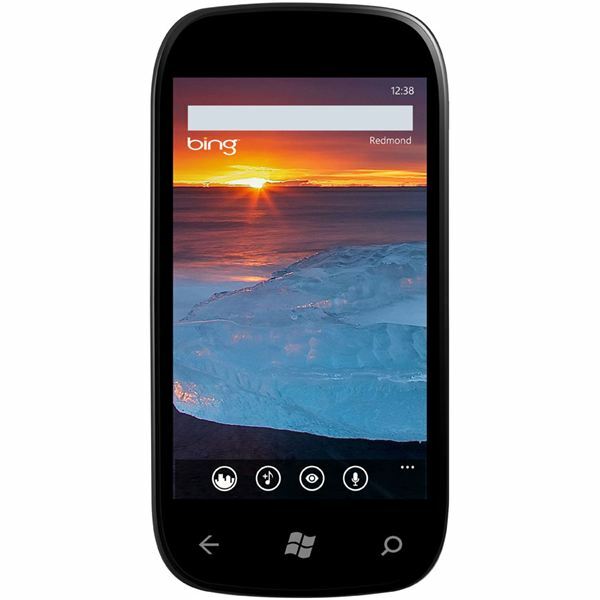 By adding new APIs, Microsoft’s Windows Phone is able to compete on a level playing field with Android and iPhone!